Technogeeks is a group of explorer located in Pune, India, who are working in IT on different Technologies like Bigdata Hadoop, Data Science, ETL Testing, Selenium Testing, AWS Cloud Computing, Informatica, Java, Python programming, Hadoop Admin, Bigdata Admin. 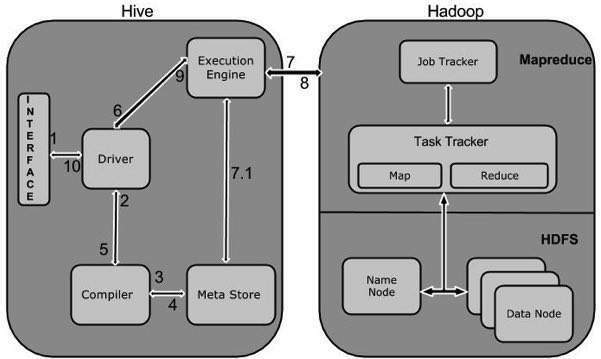 Hive is data warehouse tool which is used to process structured data in Hadoop. It resides on Hadoop Framework to describe Big Data and builds querying and analyzing more easier. Hive was developed by Facebook Orgnization but later Apache Software took it up. After that Apache Software Foundation developed Hive further as an open source. Now it is used by many companies such as Amazon uses Apache Hive in Amazon Elastic MapReduce. Hive stores data as a schema in a database. It processed data into HDFS. Hive is designed for OLAP. It provides SQL language for querying. e.g. HQL or HiveQL. It is fast, extensible and scalable.